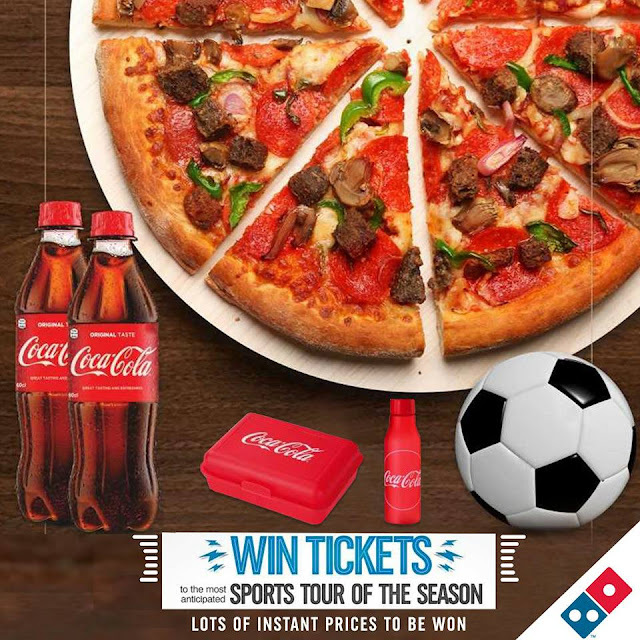 Domino's Pizza Order And Win Contest. Domino's Pizza, there is a Giveaway for everyone. 1. All you have to do is to place an order twice or more this week and Bam! you are in. 2. There are also Lot's of instant prizes to be won. Win a VIP ticket to the most anticipated sports tour of the year. Lots of Instant Prizes to be Won.